Works great, just what we expected for our storage needs. Organize yard tools big and small in this metal storage shed. 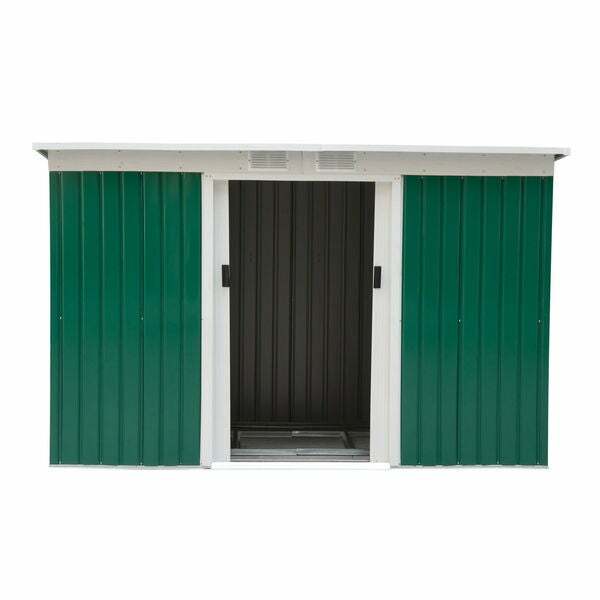 Made from galvanized steel and polypropylene with a weather-resistant finish, this garden shed features a sloped roof with vents to prevent moisture build-up and double sliding doors to accommodate large equipment. The instructions said the shed would take 2-3 hours, but it took over 8 hours for experienced diyers to put it together. There are tons of extra screws and washers included, but the materials are extremely shoddy and thin. At this point, I'm certain the lock on the outside will outlast the shed since a strong wind seems like it would knock the shed over. If I were to build it again, I would just put corrugated metal over a wood frame - at least I could trust the construction and it would have gone up faster. Overall, I'm incredibly disappointed from the bad instructions to the poor quality materials. I wouldn't recommend or purchase again. BUYER BEWARE of this Shed. It comes very poorly packaged, NO foam, nothing to protect shed pieces. 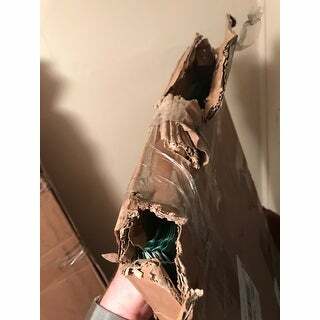 Boxes arrived destroyed, falling apart, torn, parts falling out, pieces of the metal panels for shed bent very badly. Took two full days to put together - reason - Poor consruction and predrilled holes do not line up and required redrilling multiple holes to make the panels fit. Make sure you read the directions and really understand the drawing diagrams - even go a few steps forward on steps before attempting to put together each step - you will be glad you looked ahead a steps first. The shed boxes weighed 33 lbs and 33 lbs approximately, made me concerned finished shed would be lightweight and flimsy, the finished shed was heavy to relocate in yard. Does come with a floor grid unlike other sheds must be bought separately. This came included. Must buy the wood and cut to fit (as usual in sheds). The roof panels after few days are leaking and separating and letting water in. I have to seal entire roof system. There is lots of gaps and air coming into shed. This shed is not very durable or able to keep out much weather conditions. I will be sealing entire roof, and spray foaming entire inside to seal best I can. Not recommending anyone in a high wind state to put this out in an open yard area. 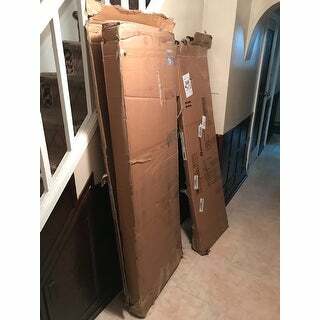 Attached 3 pictures of how boxes arrived with review. The thickness of the metal panels is quite thin. If you are seeking a durable, hardy built shed this one may not be good for you. Good luck and hope this review was helpful. Ice storage shed. Big enough to hold all my utility/tools. It is also easy to put together. Good product dimensions are as described. However somewhat difficult to assemble. Need more than two people to put this together. Material is made of decent quality. i returned this item. You have to have a cement foundation or a foundation to put this shed on. there are so many pieces. "Does this come with the floor framing material, not the floor?" 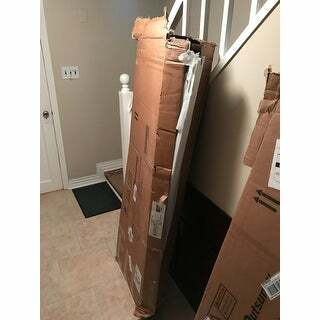 "Does this come with metal floor base frame? Not flooring." "does this include flooring? " Hello, thank you for your question, this does not come with flooring. Thank you! "Modes this come with flooring? " Great price for the size. Need to store bikes for my daycare during the winter. Size, Colors, excellent Price, and slant back away roof line.